Teaming Up With St John Brewers! Tomorrow is the big day! 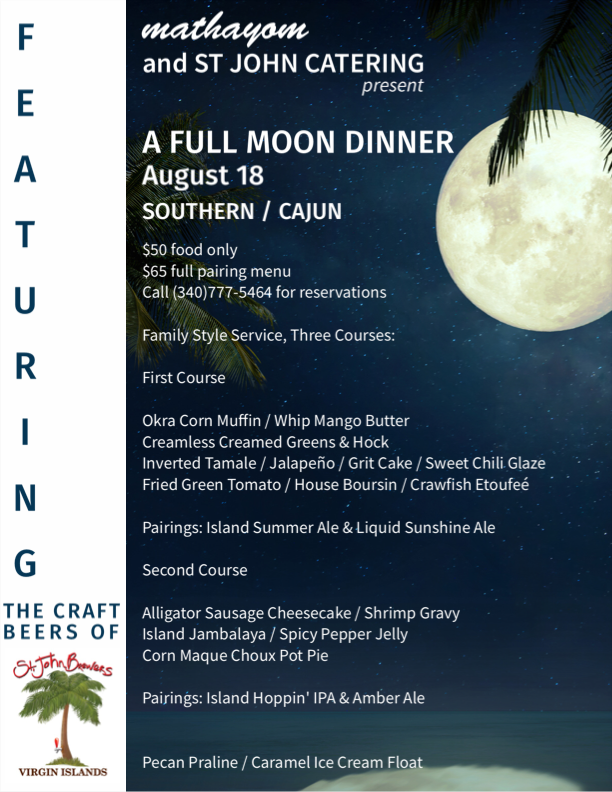 St John Catering is teaming up with St John Brewers for our August Full Moon Dinner at Windy Level! The Southern / Cajun inspired menu will be paired with St John Brewers’ craft beers, served family style in 3 courses. A free shuttle will be available from Cruz Bay for all St John and St Thomas guests. $50 for the meal, $65 with beer pairings. Check back on the blog early next week for a recap of the event.